Earlier this year, I have already mentioned that “spritz” is the preferred alcoholic aperitif in Northern Italy. 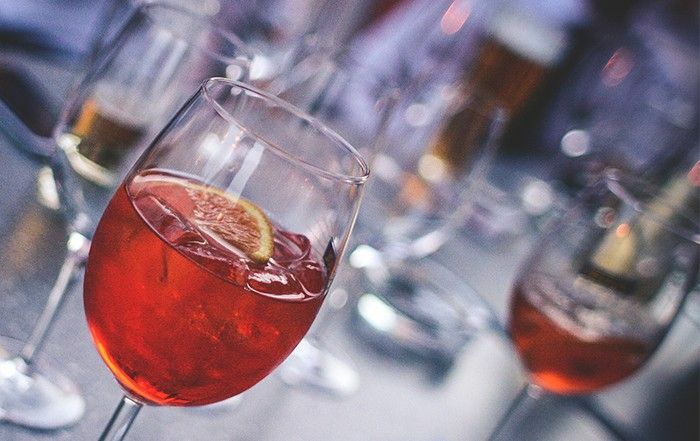 Last week, over 2600 people gathered in Piazza San Marco in Venice to attempt the Guinness World Record for the ‘Largest Aperol Spritz Celebration‘. With all attendees dressed in orange T-shirts, they filled up the Piazza and stood in the formation of a classic Spritz glass. Top it all up with soda water (about 1/4 cup). The important thing is to obtain a rich colour and an alcohol gradation of about 8 percent.